Neck pain and chiropractic care go hand-in-hand. Here’s why. Your neck, termed the cervical spine, contains seven small vertebrae which begin at the base of your skull. Astonishingly, these seven small vertebrae are able to support the full weight of your head. An amazing feat considering the average human head is over ten pounds. While the cervical spine allows you to move your head in nearly every direction, this flexibility makes the neck extremely prone to injury. The neck’s susceptibility to injury is due in part to biomechanics. Biomechanics is the action of external and internal forces on the skeletal system. There are many activities and events that affect cervical biomechanics. Extended sitting, repetitive movement, accidents, falls and blows to the body or head, normal aging, and natural wear and tear are common. Whiplash is a prime example of trauma causing neck pain, while consistently poor posture could be deemed a repetitive stress injury. 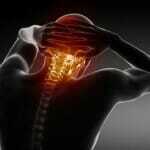 Neck pain can have an extensive variety of causes, and can be aggravating in everyday life. Chiropractic practitioners primarily use their hands to treat muscle, joint, and nerve pain by manually adjusting your spine and joints. Adjustments involve the chiropractor applying controlled but sudden force to a joint. These adjustments push the joint beyond the range in which it normally moves. This is intended to loosen up your joints that may move poorly or painfully due to tissue damage or scarring caused by any of the various activities or events stated above. 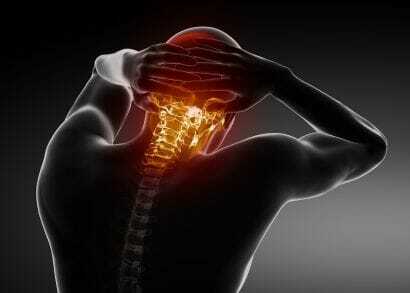 Neck pain and chiropractic care go hand in hand. For neck pain in particular, chiropractic neck adjustments, or cervical manipulation, can loosen up the joints of the cervical vertebrae in your neck. This can reduce pain caused by pinched nerves and muscle spasms. Chiropractors, using their hands, can manipulate the vertebra in your neck to realign the vertebrae and alleviate pain. A cervical manipulation works to improve the mobility of your spine and to restore range of motion; it can also increase movement of the adjoining muscles. Patients typically notice an improved ability to turn or tilt their heads, as well as a reduction of pain, soreness, and stiffness while doing so. In addition to manipulation, your treatment plan for neck pain may also include mobilization, massage or rehabilitative exercises. By restoring mobility in your joints, chiropractic offers neck pain treatment that aims to fix the source of the pain rather than simply treat its symptoms. This no drug, no surgery, conservative care approach may be the answer you have been searching for to rid you of bothersome neck pain. For more information or to schedule a visit to our Champion Chiropractic offices, call (404) 345-1609 today.